These cute lunchbox notes were running around in my head, distracting me from other work. I had to make them to move on. Of course, my offspring are past lunchbox notes, and I am not sure what I am going to do with these! 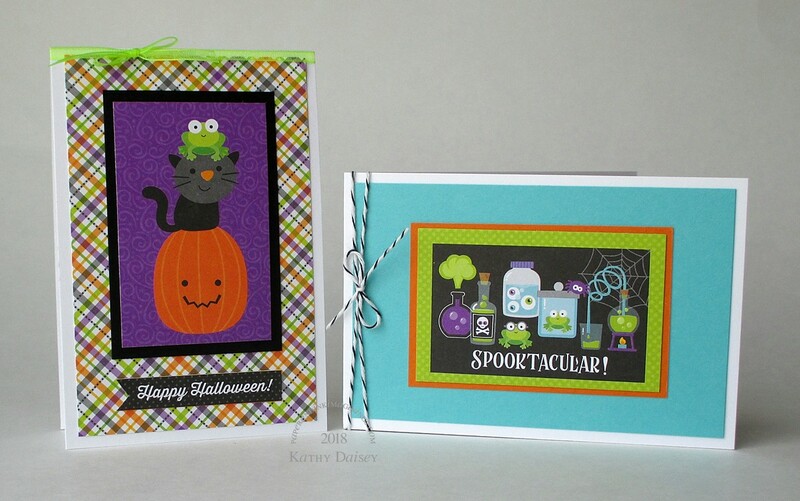 Supplies: paper – Doodlebug Designs Brews and Boos, Neenah Classic Crest Solar White, Poptone Sour Apple, Stampin’ Up! Pumpkin Pie, Taylored Expressions Grape Jelly. 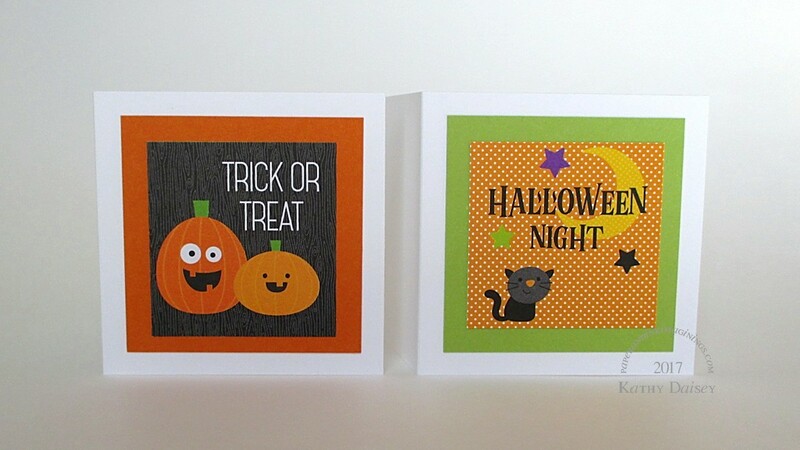 Categories: card, halloween, note | Tags: card, Doodlebug Design Inc, Neenah, Poptone, Stampin' Up!, Taylored Expressions | Permalink. 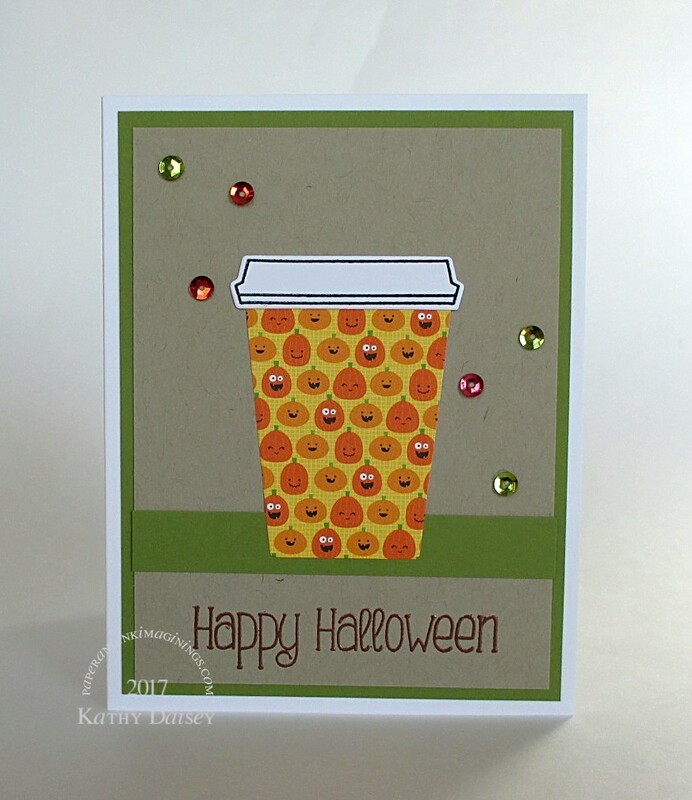 Just received this CUTE Jack-o-Lantern tag die as a “gift with purchase” from Taylored Expressions. I had to use it immediately! I die cut a smaller circle of black to back the tag – so the eyes, nose, mouth would be consistently colored. 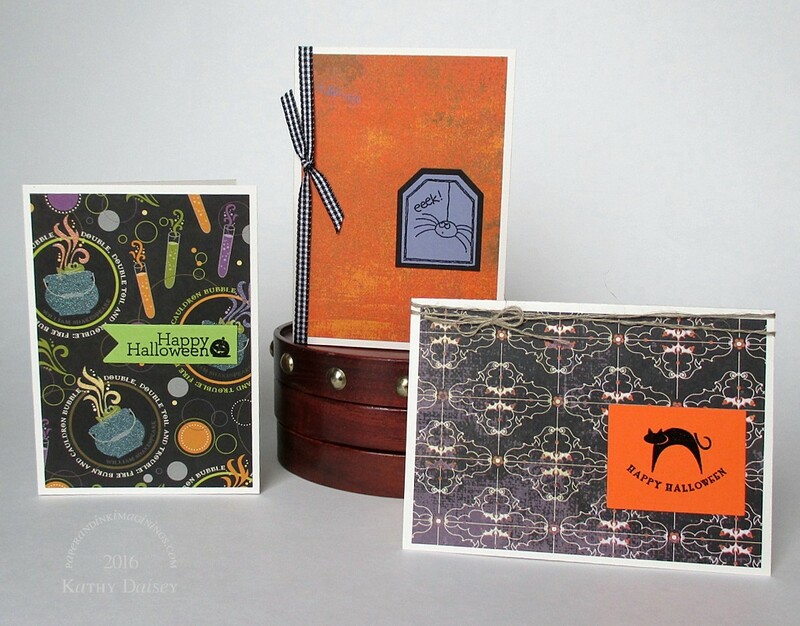 Supplies: Stamp – Clearly Besotted, paper – Doodlebug Designs (boos & brews), Neenah Classic Crest Solar White, Pop-Tone Grape Jelly, Stampin’ Up! 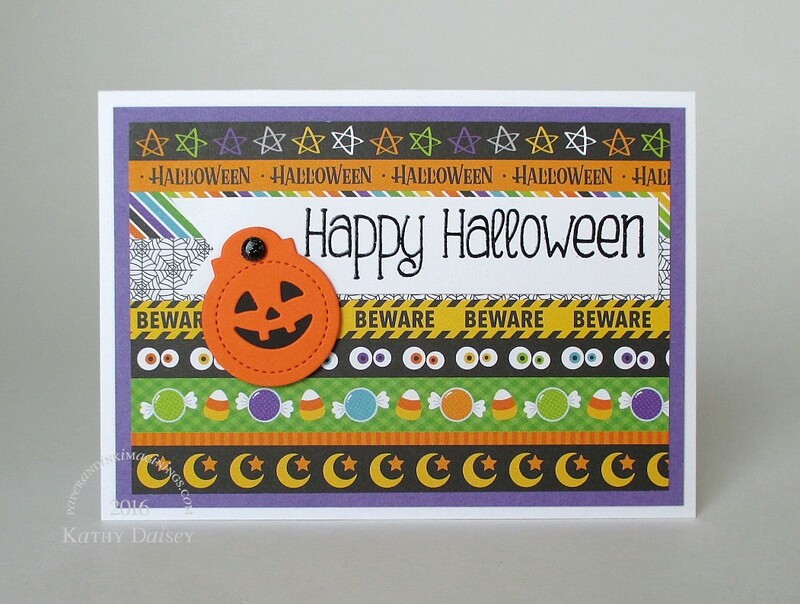 Basic Black, Only Orange (retired), ink – VersaFine Onyx Black, dies – Spellbinders (circle), Taylored Expressions (Jack-o-Lantern tag), brad – source unknown. 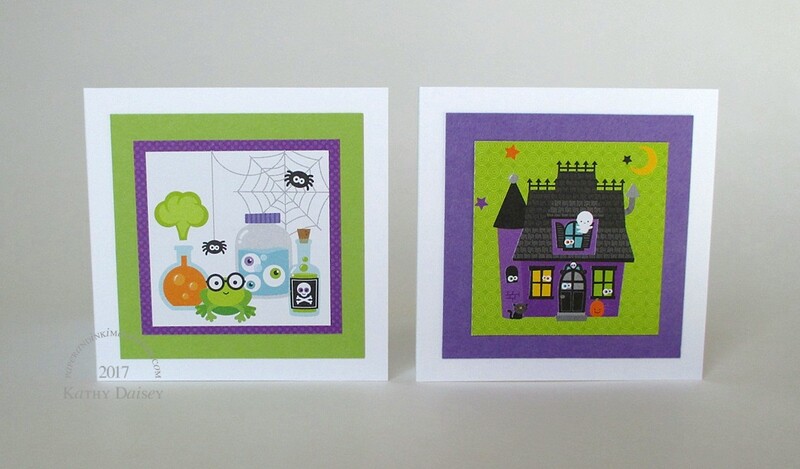 Categories: card, halloween | Tags: card, Clearly Besotted, Doodlebug Design Inc, Neenah, Pop-Tone, Spellbinders, Stampin' Up!, Taylored Expressions, Tsukineko, VersaFine | Permalink. One might ask, “Do penguins really celebrate Halloween?” According to Offspring1, not only do penguins celebrate Halloween, they also get into heated arguments outside of the dorm very late at night. Heated enough that one can hear it, say, on the fifth floor of the dorm. I thought I would throw this in a Halloween care package for Offspring1. Maybe some candy, maybe some M&M cookies. Love the glitter chevron paper by Recollections (found at Michael’s)…the glitter is not flaking off, it is not overly heavy (some glitter paper is more glitter cardboard). 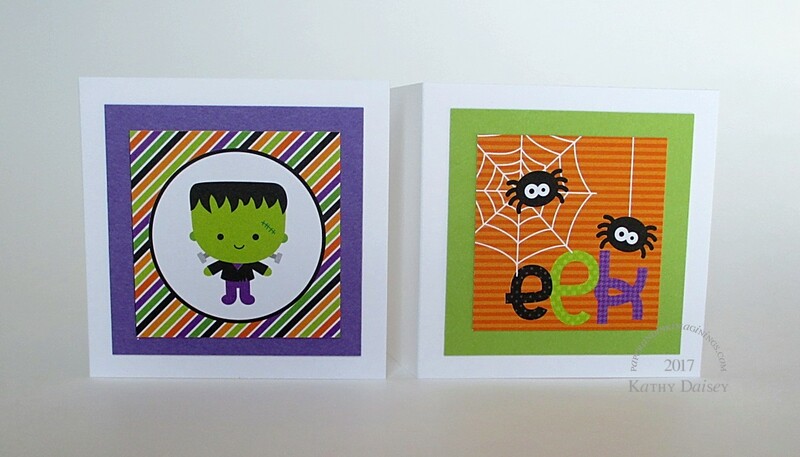 Supplies: Stamps – Stampin’ Up!, paper – Basic Grey Eerie Dracula, Papertrey Ink White, Recollections glitter chevrons, Stampin’ Up! Pumpkin Pie, Wisteria Wonder, ink – VersaFine Onyx Black, dies – Spellbinders, Stampin’ Up!, embossing powder – Filigree Fine Art Powder clear. 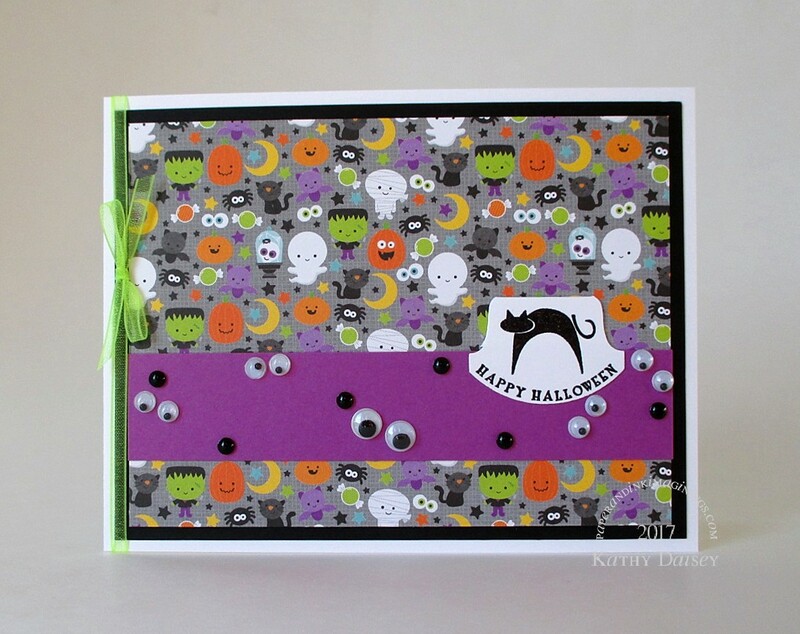 Categories: card, halloween | Tags: Basic Grey, card, Spellbinders, Stampin' Up! | Permalink.